Charlotte Neumann, MD, MPH, a Professor of Community Health Sciences and Pediatrics at the University of California, Los Angeles Schools of Public Health and Medicine, has boldly pioneered and directed initiatives for over five decades that demonstrate the interaction of nutrition, infection and child development and the identification of unique and practical ways to improve the nutritional status of children and mothers with limited food resources. Dr. Neumann has enjoyed successful research projects in Nairobi and in rural Kenya in close collaboration with Professor Nimrod O. Bwibo, Professor of Pediatrics at the University of Nairobi, and Faculty of Medicine for over 25 years. Dr. Neumann’s extensive research has resulted in over 100 publications that communicate her work to communities around the world and in turn has helped reduce malnutrition among pregnant women and children in developing countries and reduce the risk of developing childhood obesity in California. Currently, funded by USAID’s GL-CRSP and the National Institutes of Health, Dr. Neumann and colleagues from Indiana University and Moi University in Kenya have implemented an on-going randomized controlled intervention feeding study entitled “Increasing Animal Foods in Diets of HIV-infected Kenyan Women and their Children.” This study is based on her previous work in Kenya, the GL-CRSP Child Nutrition Project, that showed the importance of meat in diets for the health, growth and mental development of children. In California, Dr. Neumann and her colleagues were among the early group to document the high prevalence of childhood obesity in Los Angeles Schools. She has been involved with a group of colleagues to improve the school diet, increase physical activity, and help guide nutrition education for the school staff and children. Sherry Tanumihardjo manages a progressive research and outreach team at the University of Wisconsin-Madison in the Department of Nutritional Sciences. She has twenty-five years of experience with vitamin A and carotenoids. Her multidisciplinary research approach is enhanced by her broad educational background in chemistry (BS), biochemistry (MS) and nutrition (PhD). She has two main research foci. These include vitamin A assessment methodology and carotenoid bioavailability. Often the two overlap when investigating provitamin A carotenoids. Tanumihardjo has authored and co-authored many research publications, chapters and technical documents. Her research group works with a number of animal models (i.e., gerbils, rats, pigs and monkeys) to answer various questions on issues related to vitamin A toxicity and deficiency. Moreover, the team does not stop there, but they take the research outcomes and apply them to the human model. In that regard, the team has conducted studies in humans in the United States, Indonesia, South Africa, Ghana, and Burkina Faso. She has acted as a consultant to many other studies throughout the world to assist with study design and appropriate standardization. She is a strong advocate for the promotion of nutritionally enhanced staple foods, vegetables and fruits to enhance overall health and general well-being. This has allowed her to be an invited speaker at domestic and international meetings. In addition to her work on a variety of nutritionally enhanced staple crops, current research efforts include the interaction of anthocyanins in cranberries and purple carrots with carotenoid uptake and clearance. She has developed educational materials to enhance the intake of locally grown produce in the state of Wisconsin with special emphasis on vegetables and fruits. Some of these materials have been disseminated to other states. Dr. Sophie A. Ochola is a lecturer, for the last 10 years, in Nutrition at the Department of Foods, Nutrition and Dietetics, Kenyatta University, Kenya. She holds a PhD in Nutritional Sciences from the University of Stellenbosch, Cape Town. 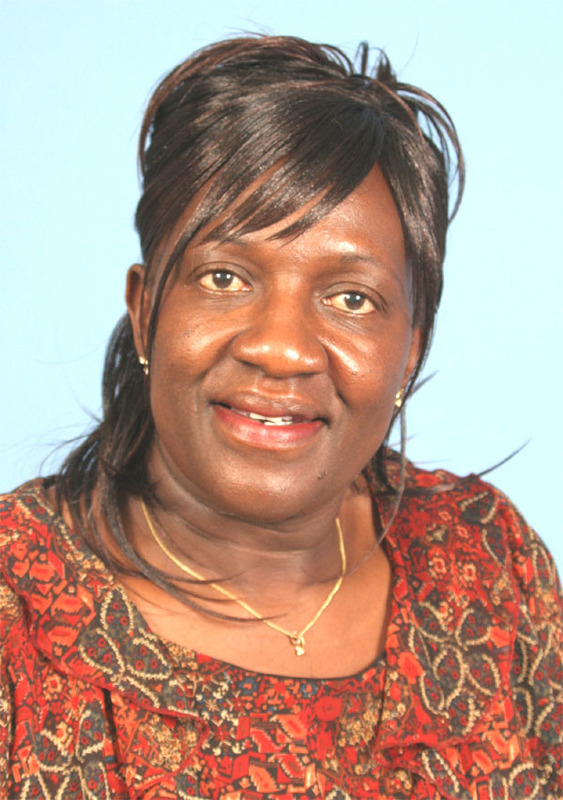 Prior to this, she obtained MSc in Applied Human Nutrition at the University of Nairobi, Kenya. Her PhD studies focused on the evaluation of community-based versus facility-based strategies in promoting exclusive breastfeeding using a randomized controlled study. Her research interests include complementary feeding, and nutrition in emergencies. Sophie has consulted widely on community-based nutrition programme design and evaluation. She has served as a consultant for a number of agencies including UNICEF, World Food Programme, UNHCR, Bioversity International, Tearfund, World Vision, IRC and GTZ. She has authored a number of secondary school nutrition books and published several articles on infant feeding. She has also been a chairperson of the Kenya Coalition for Action in Nutrition and continues to be a member of the same organization. She has been a reviewer for AJFAND since 2003.